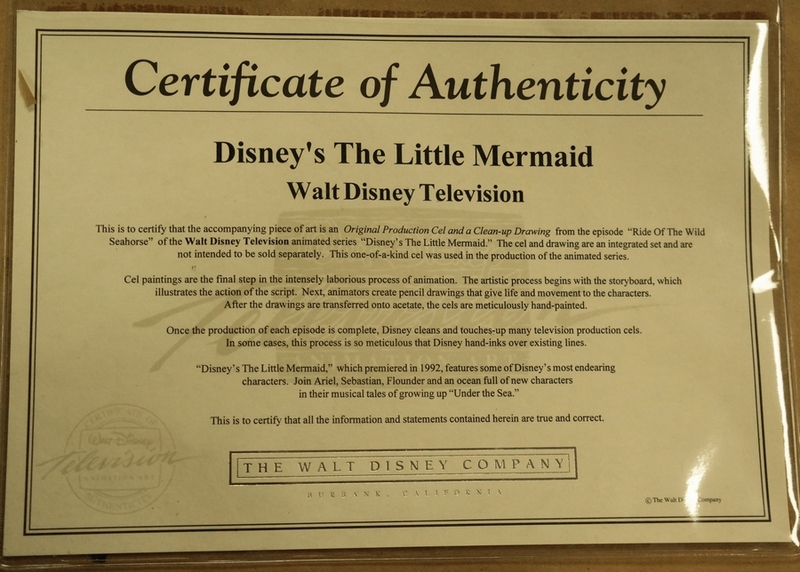 This is an original production cel from the Walt Disney Studios production of the Little Mermaid TV series episode, Ride of the Wild Seahorse. 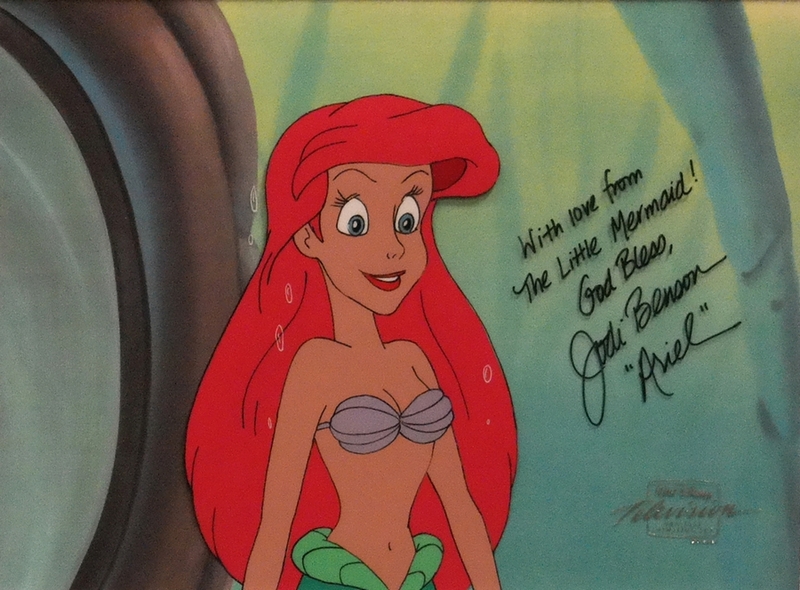 This cel features a great close up image of Ariel, and was created at the studio and used during the production of the episode in the series. 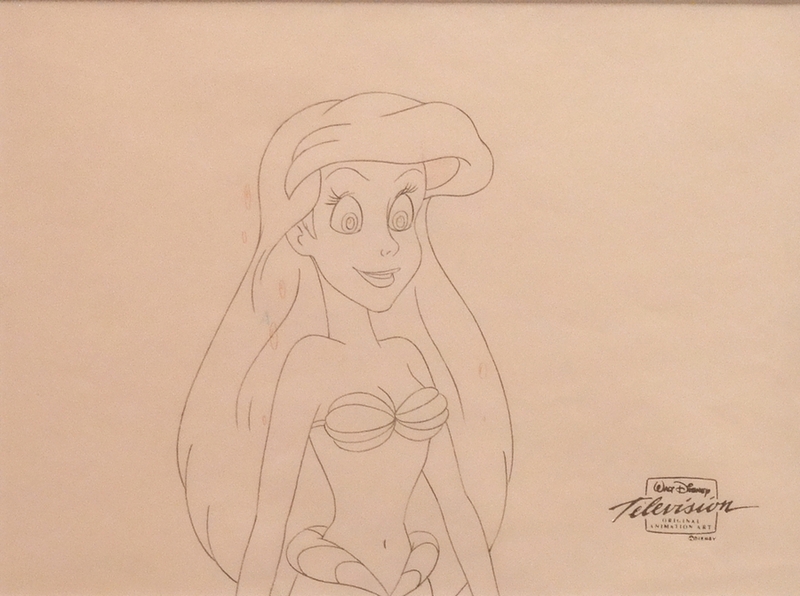 The cel is also accompanied by the matching production drawing of Ariel. The overall measurements of the piece are 17" x 31.25" framed with each of the two mat openings measuring 7.25" x 10" and the image itself measures 6" x 4". 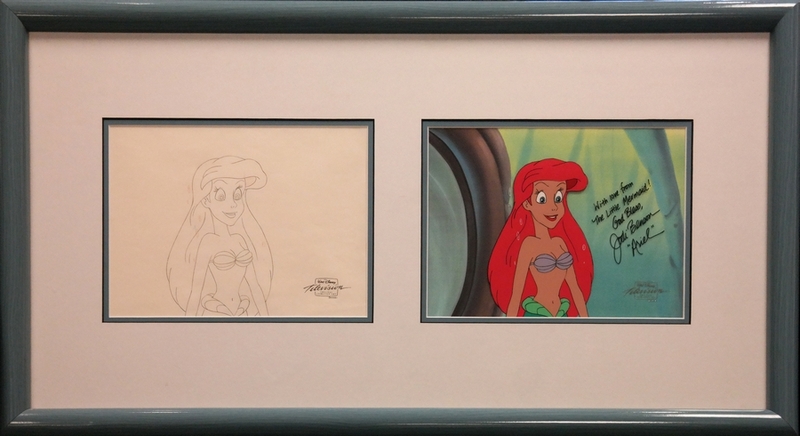 Both pieces appear to be in excellent condition, but have not been removed from their framing.